An unusual blend of fine genetics. Cookies Kush is a blending of the famous Girl Scout Cookies with the one and only Rolex Kush. This is a powerful and extremely vigourous indica plant, yielding huge amounts of beautiful stoney kush buds! Flowers in just 8 weeks indoors. 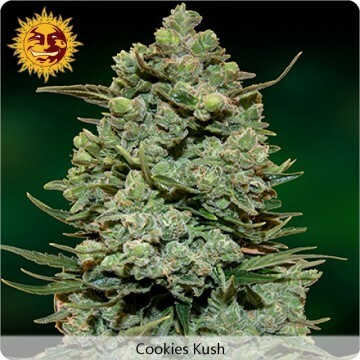 Click the button below to add the Barney's Farm Cookies Kush Feminized Cannabis Seeds | Pot Seeds to your wish list.